Separate dough into 8 biscuits. Roll out each with rolling pin or press with hands until large enough to wrap around candy bar. Place 1 candy bar in center of each biscuit. 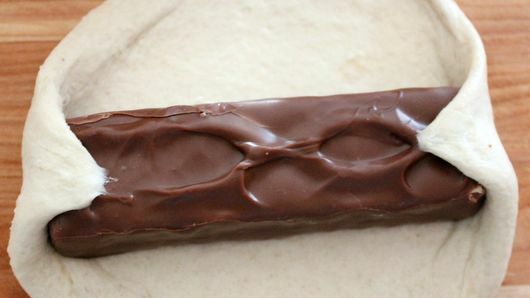 Wrap dough around each to completely cover candy bar; pinch to seal well. In 10- to 12-inch skillet, heat oil to 350°F. Fry each wrapped candy bar until golden brown on all sides. Remove from oil to cooling rack; cool. Insert 1 craft stick halfway into each. 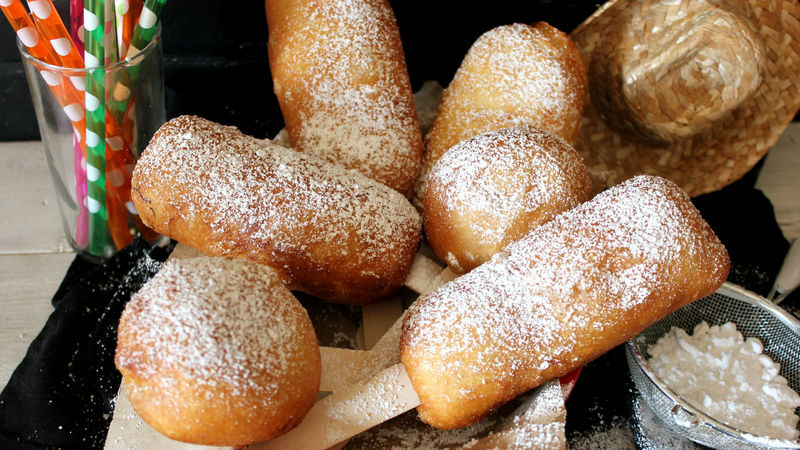 Sprinkle with powdered sugar before serving. Dust them with unsweetened baking cocoa for a more intense chocolate flavor. Use wide craft sticks for maximum strength.